Net Worth: according to CelebrityNetWorth.com is $200,000 which is only an estimate based on her Basketball Wives LA salary. 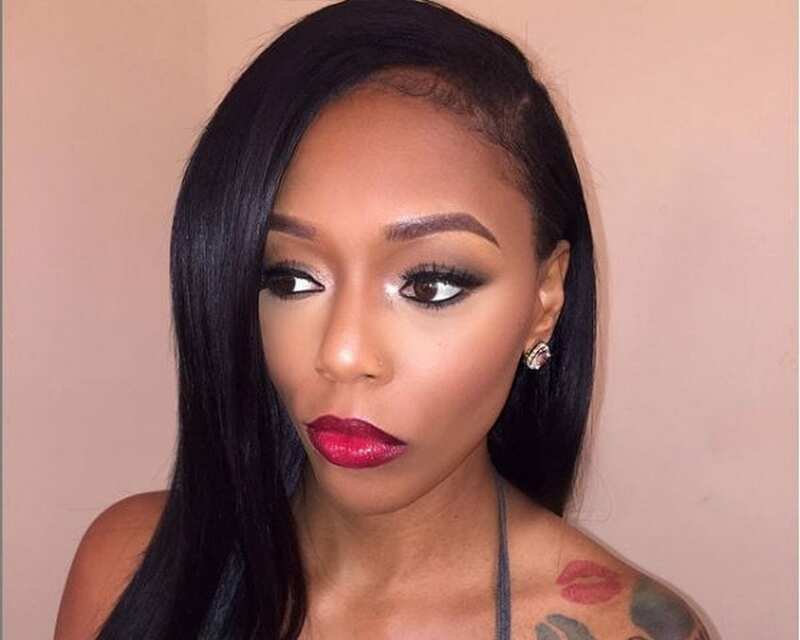 Adiz Bambi was introduced to Love and Hip Hop Atlanta viewers as Scrappy’s boo and the reason that things between Scrappy and his baby mama Erica Dixon were unmanageable. But this season Erica is no longer on the show and Bambi is on a break from Scrappy, as the two are trying to renew their relationship. This time it looks another cast member Betty Idol is driving a wedge between Bamb and Scap ever getting back together. 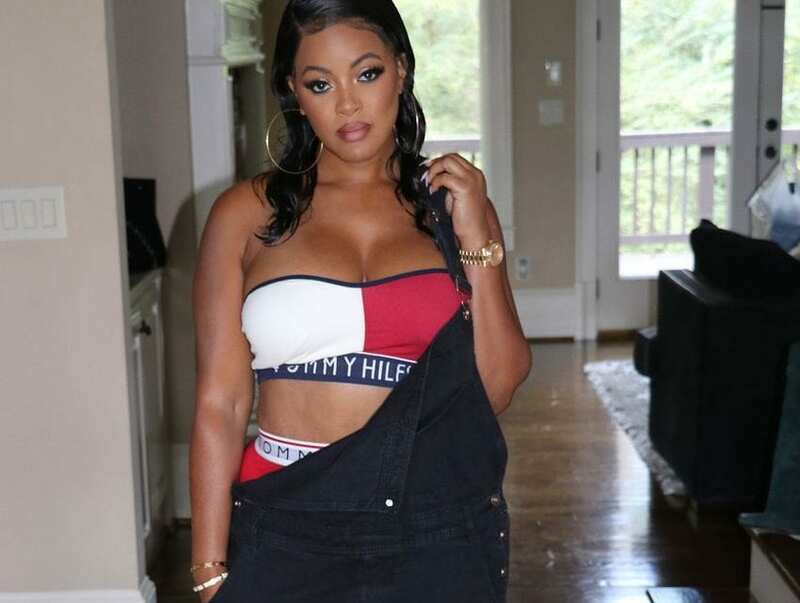 Fans of VH1 hit reality series Love and Hip Hop Atlanta were already familiar with Adiz Bambi before her log cabin encounter with Benzino and Kirk Frost that sent Kirk into a whirlwind of trouble with his wife Rasheeda. Bambi had appeared on two season of Basketball Wives LA as a friend of Malaysia Pargo. Bambi was born and raised in Compton, California. She and Malaysia (although bourgeois as hell) grew up in the same poverty stricken neighborhood. Malaysia became a housewife to a basketball star she met in high school and Bambi chose a route of her own as a hip hop artist. Bambi had several record deals before going independent in 2009. There is a rumor that Bambi worked as a stripper in Magic City which how she developed a repertoire in Atlanta. In 2012 she appeared on Basketball Wives LA. Her story line was a beef with cast member Brooke Bailey that extended back 3 years. Brooke Bailey a video vixen and men’s magazine model had been dating a street kingpin. The anonymous baller goes by ‘Black Santa’ because of his lavish gifts and money he spent on both Brooke and Bambi. “Black Santa” has invested in several business making legit money as well as from his street hustle. Brooke was his official girlfriend and Bambi was just the side chick as described by the “Black Santa” in a letter he wrote to Diary of A Hollywood Street King. 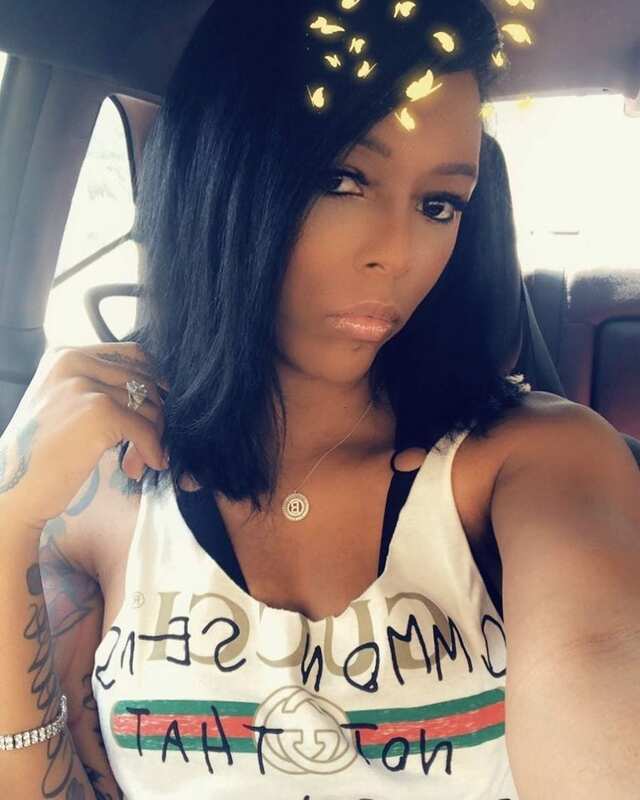 Bambi maybe seen as a gold digger by many in Los Angeles and Atlanta but according to Scrappy she is a good woman and more than just a jump off looking for a payout. There were rumors earlier this year that he had officially broke things off with Bambi and was back with Erica Dixon. But apparently it was “just a break” and he is still dating Bambi. But we will officially see this year at the Love & Hip Hop Atlanta reunion. Bambi’s net worth is reportedly $200,000. But that is only a made up sum by CelebrityNetWorth.com. Bambi’s income and earnings were from modeling in men’s magazines, her rich boyfriends, and her salary from reality shows Basketball Wives La and now a $100,000 salary on Love & Hip Hop Atlanta which is the highest rated telecast among African Americans on Monday nights.